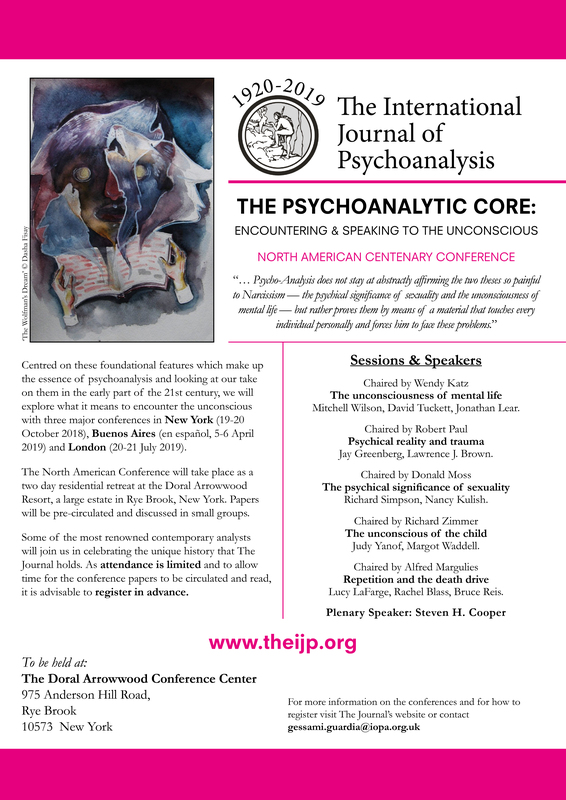 Centenary Conference New York – Programme – Welcome to the IJP. The New York Centenary Conference will take place as a retreat at the Doral Arrowwood Resort, a large estate in Rye Brook, New York. Over two days we will explore what foundational features make up the essence of psychoanalysis and look at our take on them in the early part of the 21st century. Conference registration will be open on Friday 19th of October 2018 from 12:00h until 13:20h. A Deli Lunch will be provided during this period. Hotel check in is available from 3pm and check out is at 12pm. The DoralArrowwood Resort will provide a room to hold luggage until attendees can check in before dinner at 7pm on Friday.